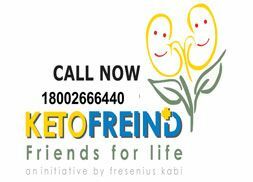 Fresenius Kabi India Pvt Ltd, India (hereunder FKIPL) is a 100% subsidiary of Fresenius Kabi AG (FK) in India. FKIPL owns advanced production facilities (for some of its products) with latest technology imported from Europe and highly capable professionals to provide doctors and patients the products with a consistent global quality standard in addition to meet the GMP requirements. FKIPL markets many high quality imported products in the field of clinical nutrition and volume therapy. FKIPL's product portfolio consists of pharmaceuticals, namely products for clinical nutrition and infusion therapy and it offers respective medical devices for application of both the therapies. Copyright © Ketosteril. All rights reserved.